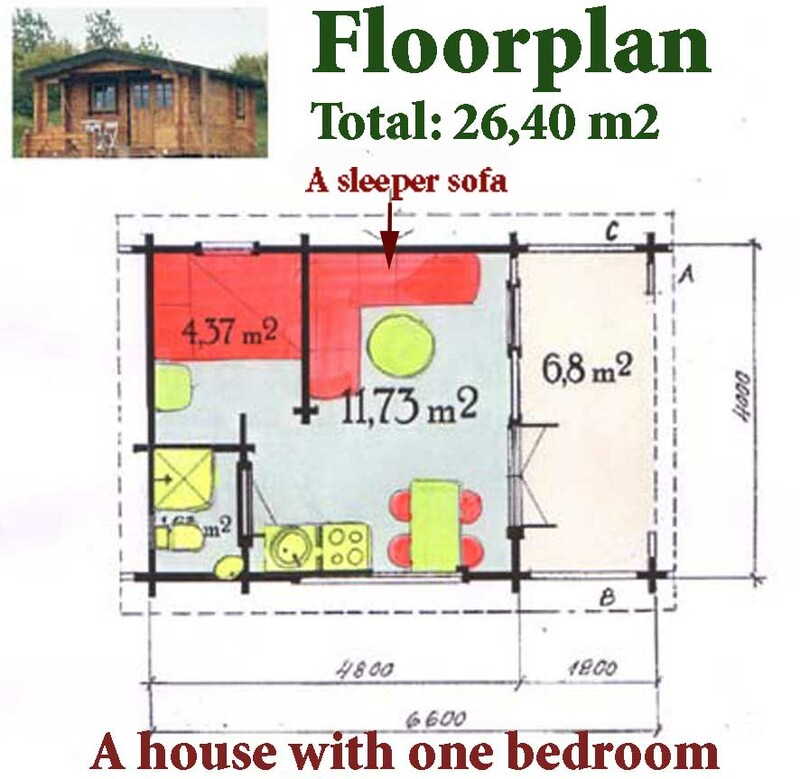 The houses on one floor are 20 square meters, plus 7 square meters terrace. The interior layout is a studio apartment. It has one double bed (150 x 200 cm) with a wall in front of the bed to make it more private, which on the other hand makes it, not as easy to get in or out of the bed (especially for elderly or disabled people). It is also possible to sleep on the sofa if you prefer separate beds. 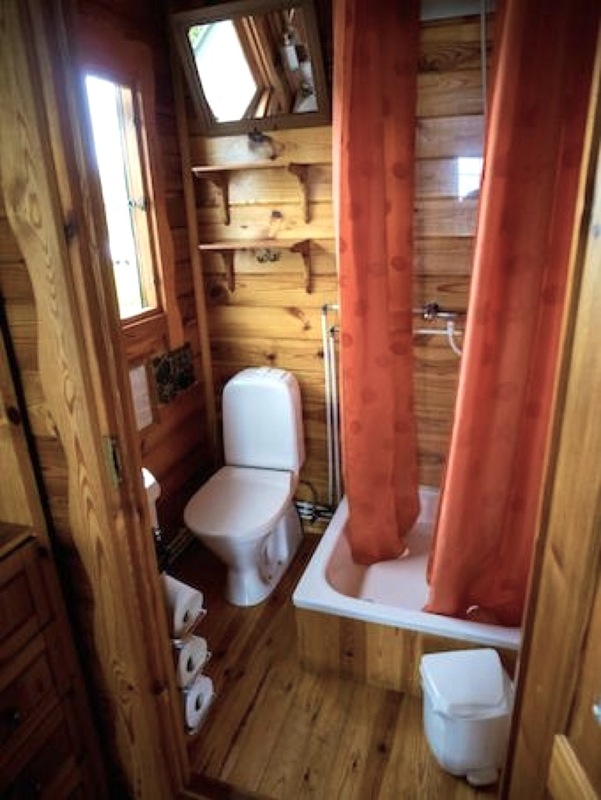 Each house has a small private bathroom with a shower, a dining corner and a kitchenette with all necessary cooking facilities to make small meals. 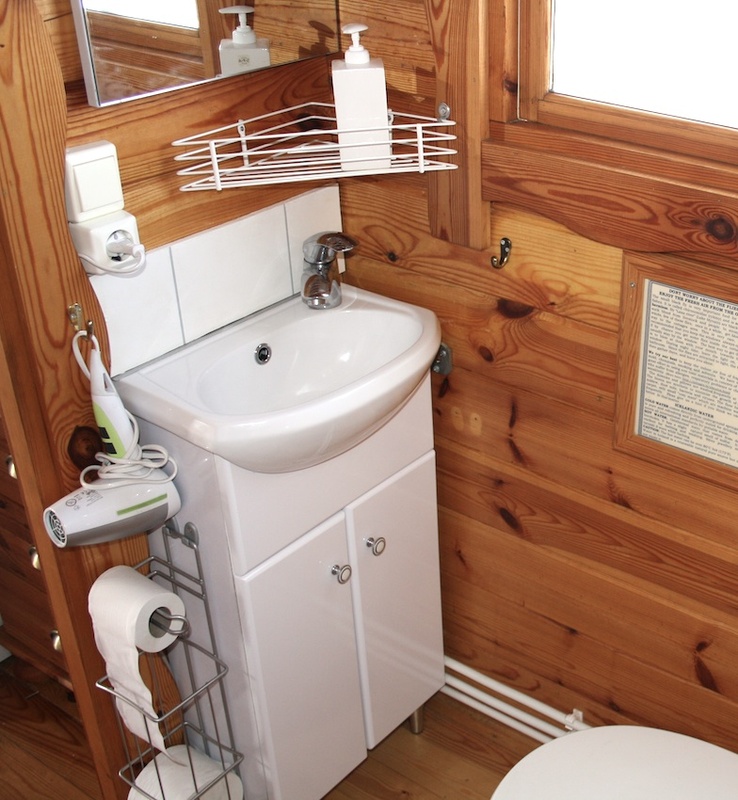 Standard equipments are TV/radio, Internet connection, iron, hair dryer, hot and cold water, electricity and geothermal heating. We do our best to keep the indoor air in our cottages free of fragrance, mold, chemicals, smoking and solvents so they can suit people who suffer from allergies, respiratory problems or chemical sensitivity. We would be grateful if our guests limited as much as possible the usage of fragranced products while staying here.